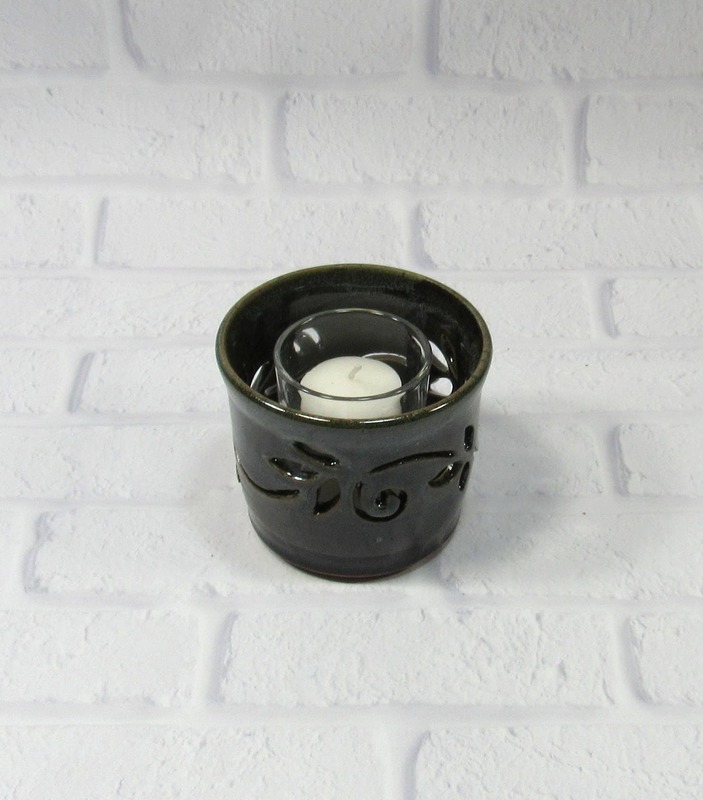 This votive candle holder comes with a glass insert and small pillar votive candle for your immediate use. 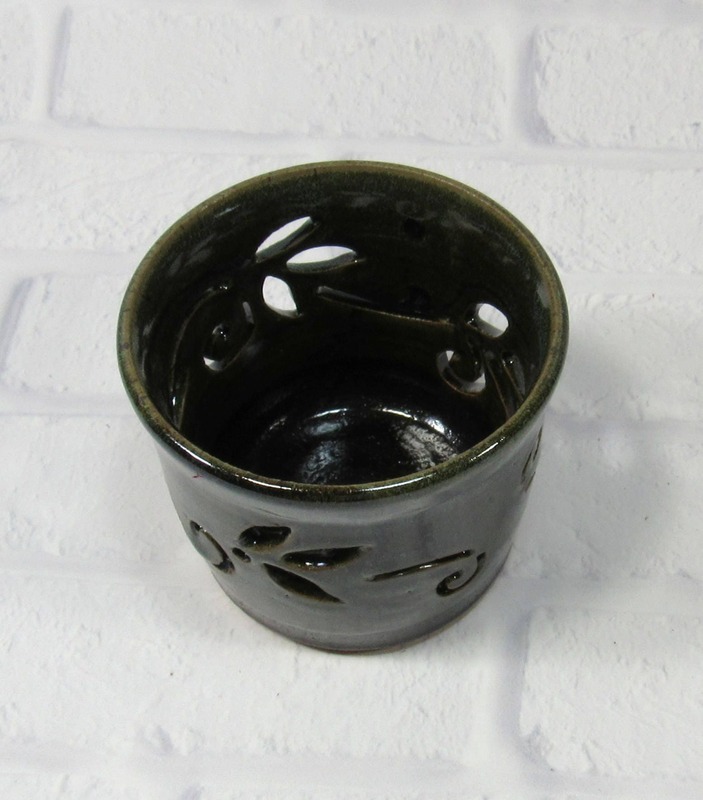 But that's not all it can do! 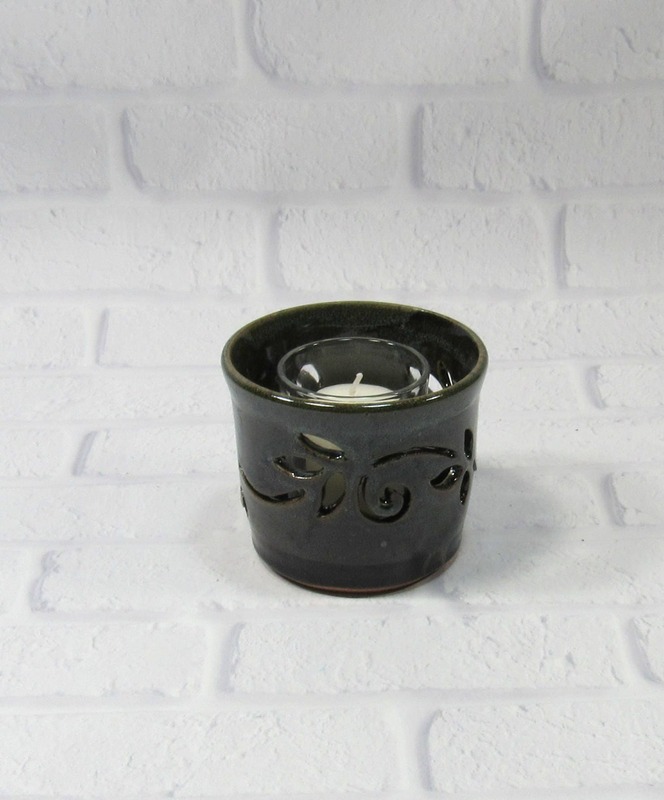 It also makes a perfect kitchen accessory as a sponge holder: The carved leaf design allows air to flow through it and helps dry your sponge. 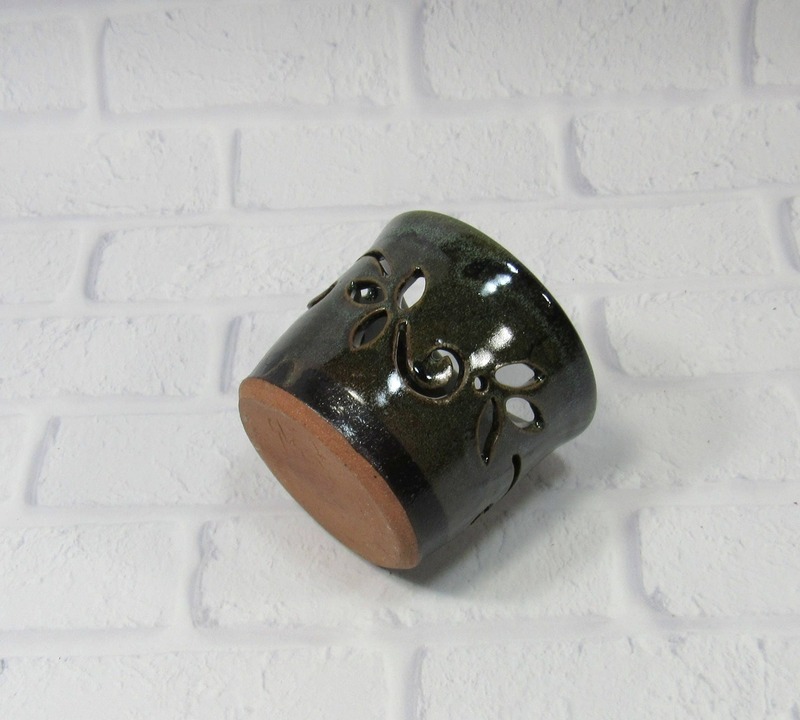 What other uses can you think of for this wonderful piece? 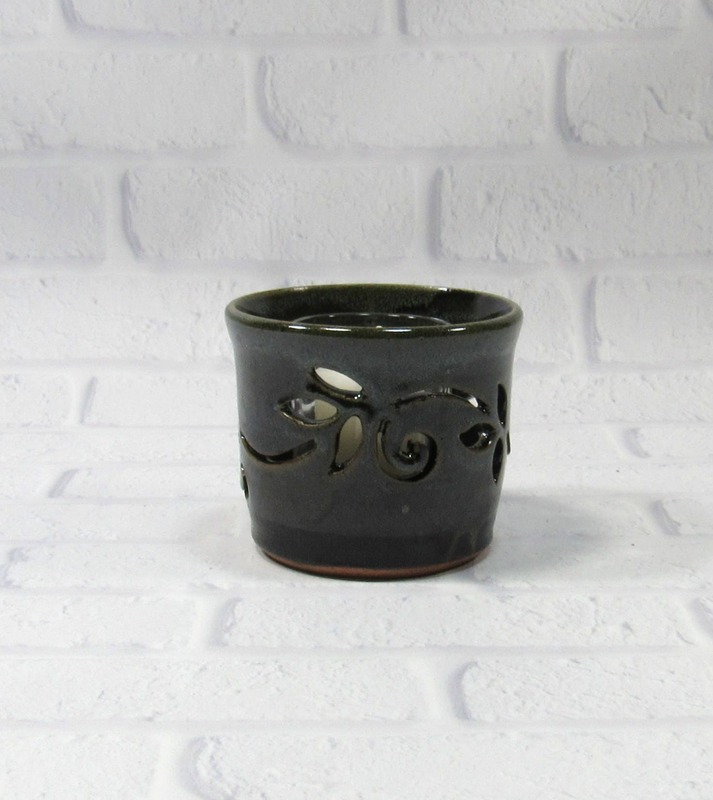 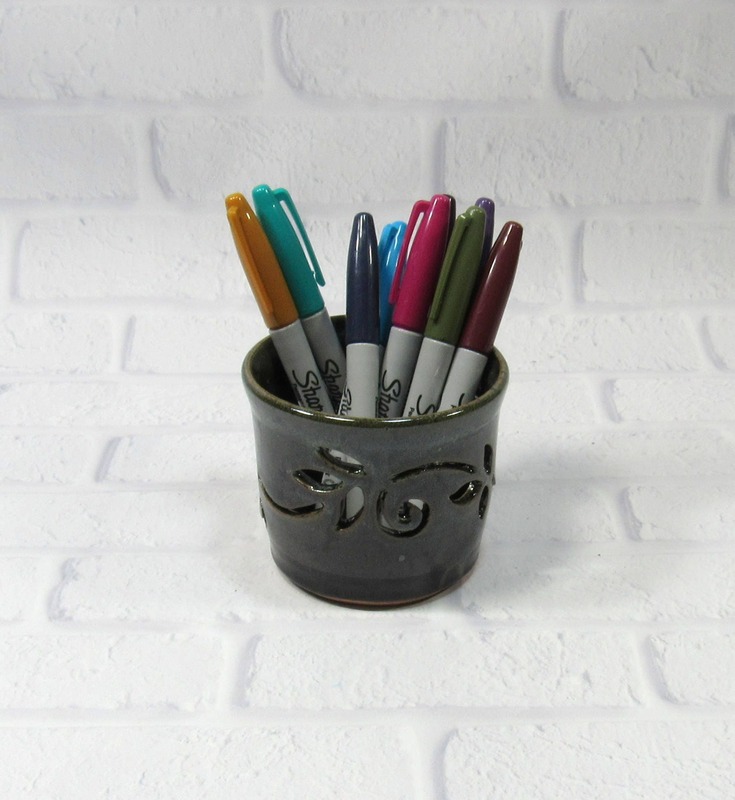 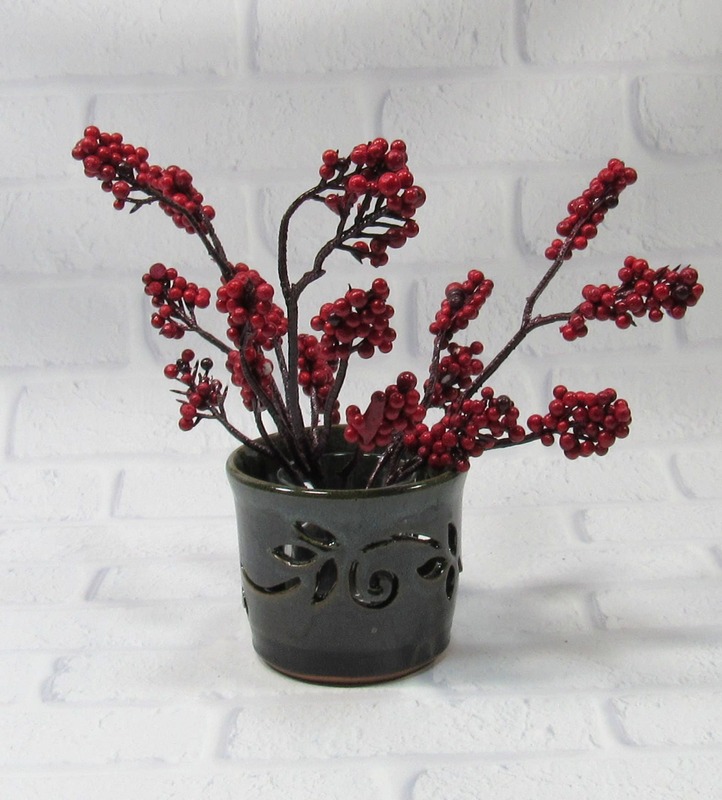 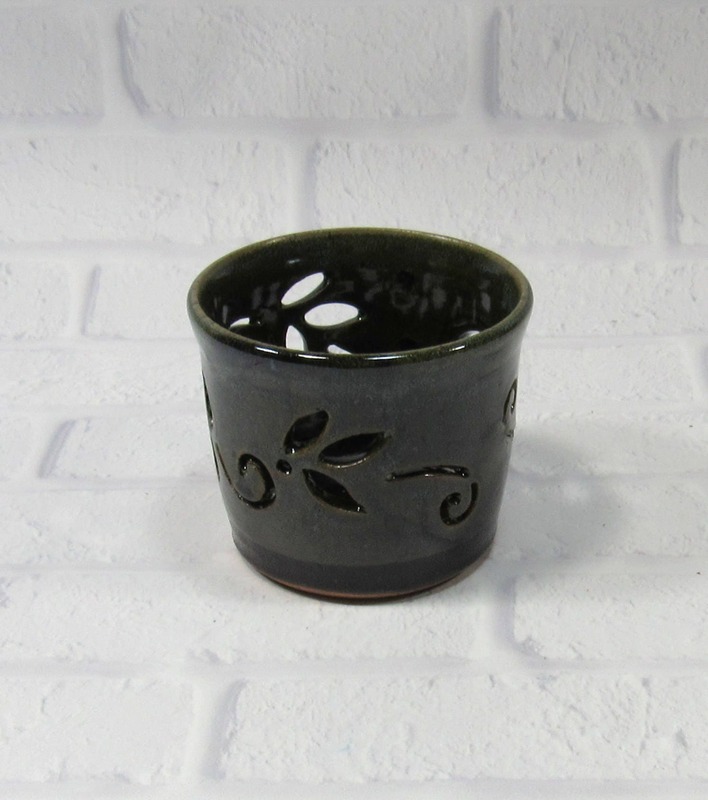 This ceramic pottery pencil holder is 3.25 inches tall and 3.5 inches in diameter. 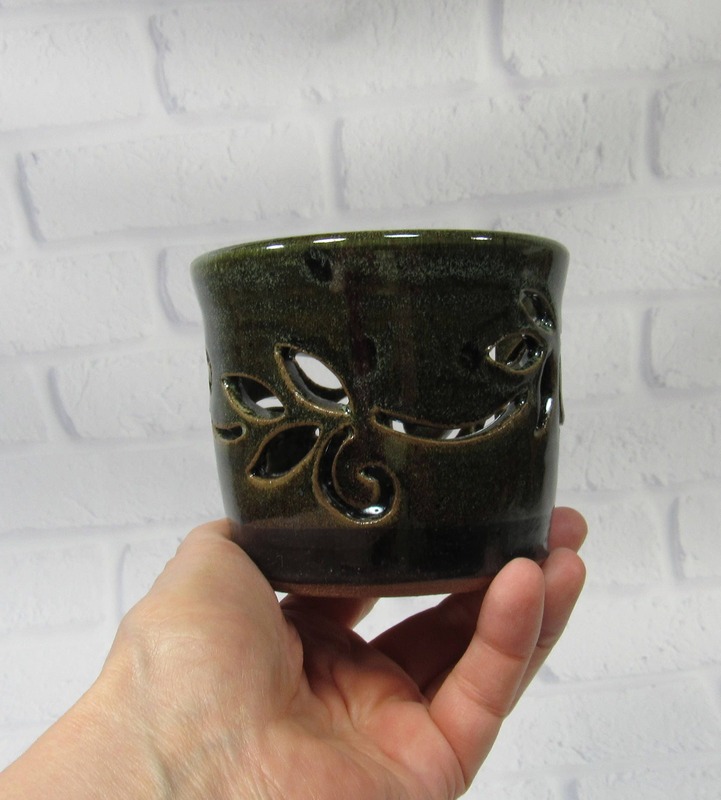 I made this pencil holder on the potter's wheel and hand carved and glazed it. 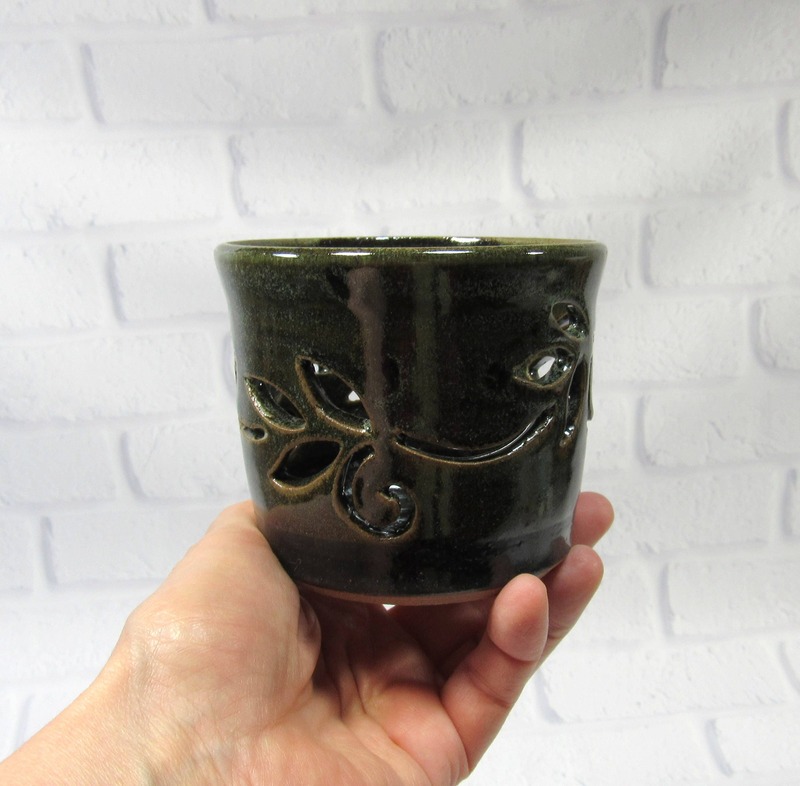 I fired it twice in an electric kiln.